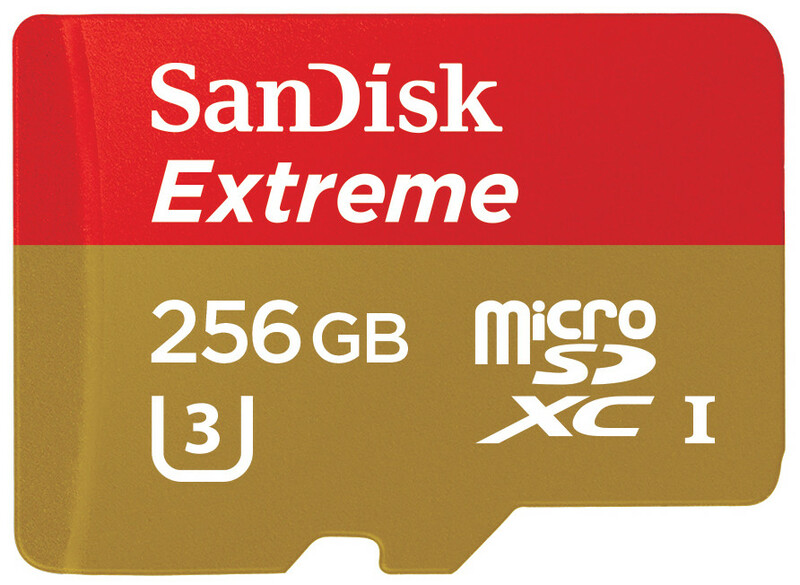 Western Digital Corporation, a global storage technology and solutions leader, today introduced a new suite of 256 gigabyte (GB) microSD cards, which includes the new 256GB SanDisk Extreme microSDXC UHS-I card - the fastest microSD card in its class. The new suite of cards also includes 256GB SanDisk Ultra microSDXC UHS-I card, Premium Edition, the first 256GB card optimized for mainstream consumers. The new additions deliver leading speed and capacity in a fingernail-sized card, giving smartphone, drone and action camera users the performance and capacity they need to capture professional-grade videos and photos without worrying about running out of space on their device. 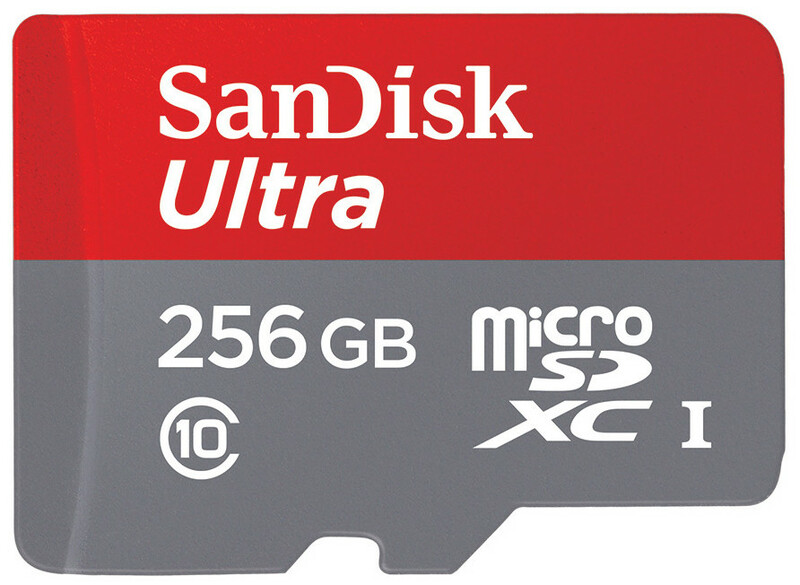 "Our microSD cards are now at the center of many consumer devices, and we're excited to not only raise the bar with the launch of the world's fastest microSD card, but to also offer a family of 256GB microSD cards that give consumers the flexibility they need to capture life at its fullest," said Dinesh Bahal, vice president of SanDisk product marketing, Western Digital. "As a leading global storage provider with one of the most trusted flash brands, we take pride in transforming the way consumers capture, store and share their content." "At DJI we focus on creating easy-to-use drone technology for consumers to capture everyday exploration and photography, and our customers need quick and reliable access to their high quality aerial footage," said Eli Morgan Harris, strategic partnerships, DJI. "With the new 256GB SanDisk microSD UHS-I cards, they now have greater flexibility to capture their content on high-performance storage and the peace of mind knowing they can continue shooting when it matters most." The 256GB SanDisk Ultra microSDXC UHS-I card, Premium Edition, is ideal for Android-based smartphone and tablet users who don't want to worry about running out of space on their devices. The new card is capable of storing more than 24 hours of Full HD video1, and also features premium transfer speeds of up to 95 MB/s. At this speed people can move files quickly - up to 1,200 photos in just one minute2. Built to perform in harsh conditions, the new cards are also waterproof, temperature-proof, shock proof, and X-ray proof. Additionally, the SanDisk microSD card line up is compatible with the SanDisk Memory Zone app for Android, giving users an easy way to manage and back up content on their device. The app is available for free through the Google Play Store. The new suite of cards is the latest breakthrough offering to join the cutting-edge SanDisk portfolio of mobile memory solutions. The first to introduce 128GB and 200GB microSDXC, and 512GB SDXC high-capacity cards, SanDisk continues to pioneer technology that keeps up with consumers' evolving storage needs. Will faster right speeds give me better quality 4k video from a GoPro Black Hero3? No. The write speeds have nothing to do with quality. If your card isn't fast enough, generally the camera would prevent you from recording at a higher resolution/frame rate/quality setting, that's it. Hmm... One of these and a 256GB Note 7 would make for a relatively massive (albeit expensive) option. It's x-ray proof? Who is in danger of being exposed to x-rays all the time? For frequent travellers, air port xray machines can wipe cards clean and destroy them.